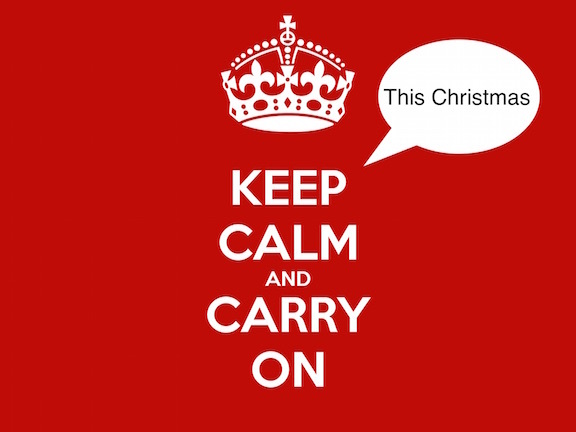 So “the season of goodwill”, is upon us once again but for many, it is more “the season of stress and worry”. We can find ourselves with so much to do, presents to buy, cards to send, shopping to get, relatives to take care of and often, all of this on top of keeping a job, marriage and family ticking over. The pressure for perfection, to perform and to provide can feel enormous at Christmas and we can end up running ourselves ragged and actually not have enough time to enjoy the nice bits, the simple bits – a glass of mulled wine and a mince pie with a neighbour, the carol service at church or school or a drink with friends. So how can we better manage this run-up to Christmas and stay well? There are several practical things we can do to make things easier, which will be covered below. On an emotional and psychological level, I think it is important to remember that we can all feel more of a pressure at this time of year to please other people, to gain their approval by getting the right present, making the house look beautiful etc. Ultimately, we are all just ordinary people, trying to do the best we can and we may not tick every box or cross everything off our list but all of that can be survived and no-one will love us any less for our human frailties. It is also important to know what our limits are and to have boundaries. Of course we’d love to say ‘yes’ to everything but that is often not realistic and we need to be aware of our capacity and sometimes be able to say ‘I’m sorry but no’. Again, the fear can be of peoples’ disapproval but generally, good friends and family understand, particularly if it is in the name of us taking care of ourselves. We need to cut ourselves a little more slack at this time of year, because things will be ok! On a practical level, it can be very helpful to draw up a December planner, like a page of a calendar. If you use a smartphone or tablet then use the diary function to plan in your time. This can help to focus on what needs to be done by when and what is happening each day, that way it’s down on paper and not just swirling round in our heads. With the tasks that need to be done it’s also important to ask for help, don’t struggle on alone. We all need each other and we need to share the load. Another thing that can be useful, is to build in very short pauses a few times a day, just to check in with ourselves and ensure we’re not spinning off at 90 miles an hour. Ten or twenty seconds is long enough and this could be after you’ve got dressed. You may find a similar pause before or after breakfast or lunch, similarly while you’re waiting in traffic or are on public transport. These pauses offer a chance to change gear, to let the driven energies loosen and actually, to consciously slow the breathing down. You can find some lovely guided relaxations audio files on the University of Limerick website. You can chose the length of the track to listen to, (15, 29 or 30 minutes) and if you can carve out this short time, then you could find yourself returning to your tasks with more clarity and calm. One treat to add in to your December planner could be to plan in time to have a relaxing bath, phone off, no interruptions, just some quiet time for yourself. It is really important to ensure we have some ‘down-time’, in order to function better with the tasks in hand. It’s ok to leave gaps and the odd thing un-done, we’re all human. There will be ups and downs along the way, simply because that’s life but if we can use some of these tools, then hopefully we can stay a little bit calmer, keep well and enjoy more of those simple Christmas pleasures. Here’s to mulled wine and mince pies!